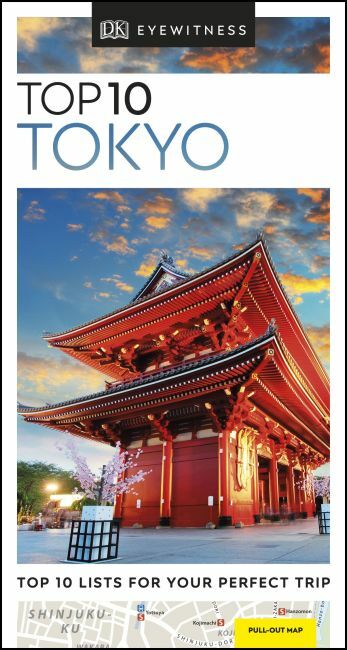 An unbeatable, pocket-sized guide to Tokyo, packed with insider tips and ideas, colour maps, top 10 lists and a laminated pull-out map - all designed to help you see the very best of Tokyo. Admire the world's largest collection of Japanese art and archaeology at the Tokyo National Museum, watch a traditional Kabuki show, explore the historic Imperial Palace Grounds or admire cherry blossoms in Ueno Park. From top 10 restaurants to the top 10 gardens and parks - discover the best of Tokyo with this easy-to-use travel guide. Staying for longer and looking for a more comprehensive guide to the city? Try our DK Eyewitness Travel Guide Tokyo.